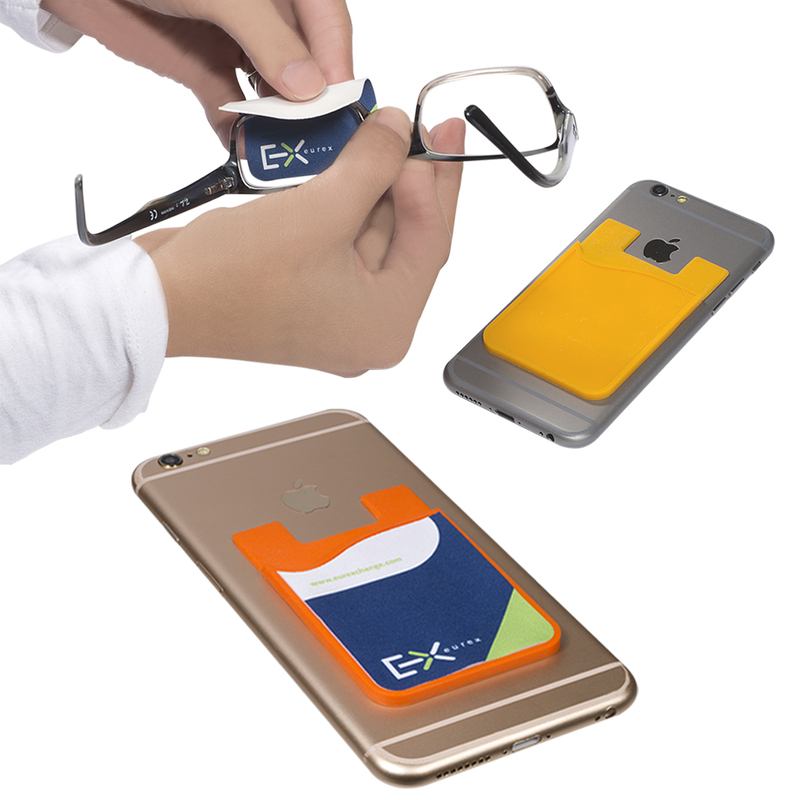 • Silicone pocket with full color microfiber cleaning cloth removable adhesive backing for cell phone or mobile device. • Reusable microfiber cleaning cloth will re-adhere to pocket for future use (cloth measure approx. 2"w x 2.44"h). • 3M™ adhesive sticks to the back of your mobile phone. • Pocket doubles as a wallet. • Cleaning cloth may be used for screens, smartphones, glasses and other small items. • Holds approx. 2 to 3 credit cards, driver's license, business cards. • Optional Epoxy dome full color imprint available for an additional fee of $0.30 (G) per piece. • Sample Time: 2-3 weeks after layout approval. • Production Time: 10-12 weeks after sample approval.